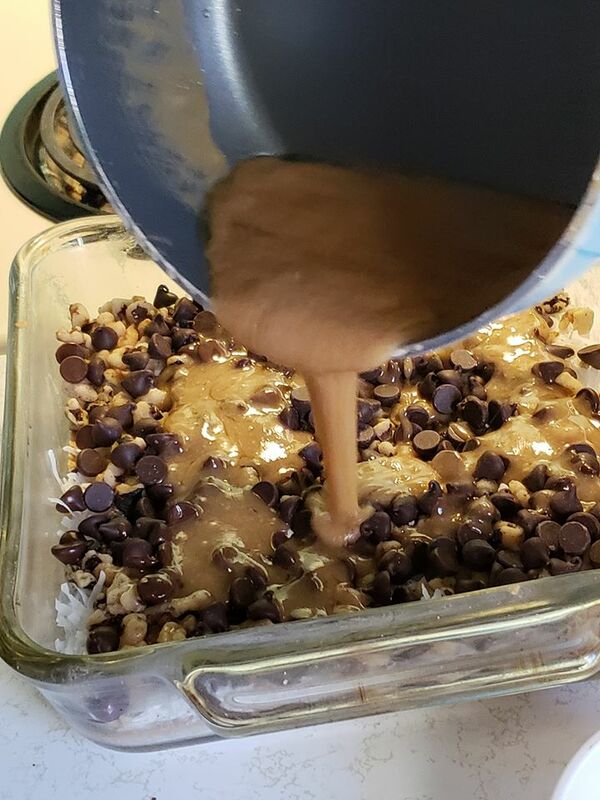 This week’s “In The Kitchen with Sharky and Jackie and it’s an amazing dessert! These little bars are amazing- chocolate, nuts and coconut……CHOCO-NUTS!!! Mix together the crust ingredients until they create a ball of dough. Press the dough into an 8 inch baking pan. Poke a few small holes in the crust with a fork. Bake for 20 minutes – until slightly golden. Place all ingredients in a pan and bring to boil over high heat. Once boiling, continue to boil for 5 mins- stirring frequently. 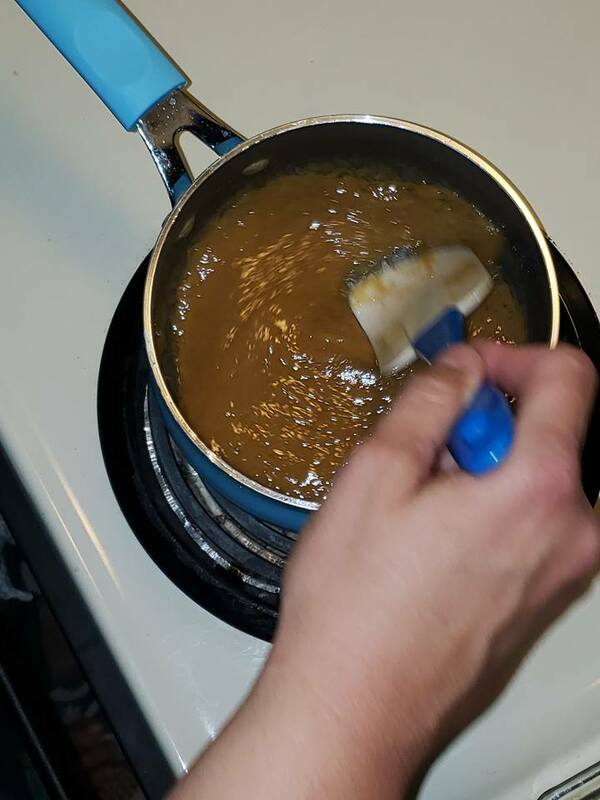 After 5 minutes, it should reach the consistency of condensed milk or a thick caramel sauce. Set aside to cool. 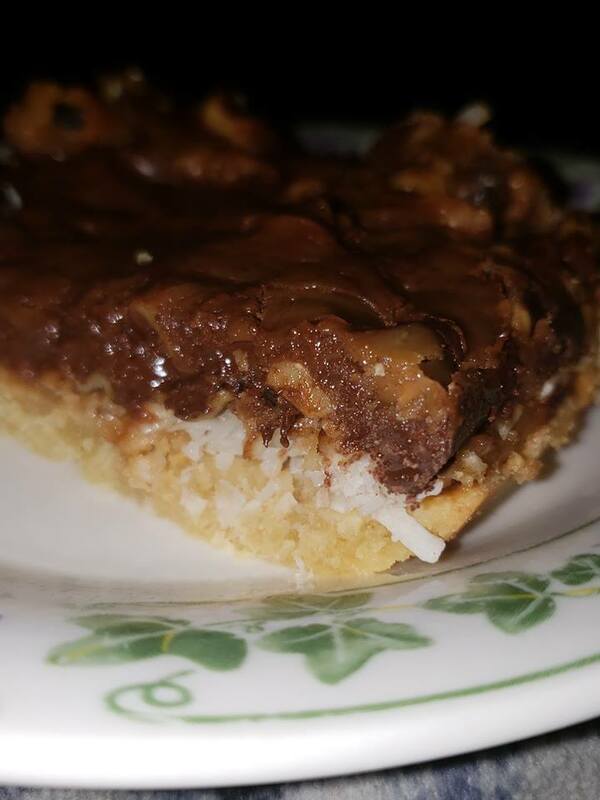 Place the walnuts, coconut and chocolate chips on top of the crust. Pour over the condensed milk. Allow to cool completely in the refrigerator for 60 minutes before cutting into bars.